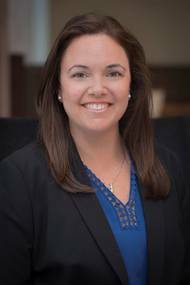 SpotSee, a leader in shock and vibration monitoring through low-cost connectivity and data, and parent to established brands such as ShockWatch, ShockLog and OpsWatch, announced that it has appointed Jill Malone as the company’s marketing director. In her role, Malone is the brand leader for SpotSee and is responsible for planning, development and implementation of the global marketing strategy, public relations and branding. Malone brings more than 10 years of expertise in strategy and implementation of multi-channel digital marketing campaigns. Descartes Systems Group said it has acquired the assets of Philadelphia based PCSTrac, Inc., including certain related assets of Progressive Computer Services Inc. dba PCS Technologies. U.S.-based PCSTrac helps specialty retailers and logistics service providers collaborate to improve carton-level visibility for shipments from distribution centers (DCs) to stores. PCSTrac’s solutions provide visibility and insight into the store replenishment supply chain, helping increase sales, enhance loss prevention, and improve inventory control. 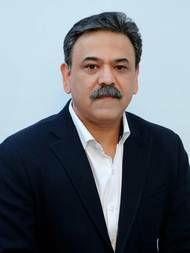 INTTRA, an ocean shipping electronic marketplace, has announced that Vijay Minocha has joined the company as President, Asia Pacific. He will report to John Fay, INTTRA's CEO. Based in Singapore, Mr. Minocha is responsible for meeting INTTRA's strategic, financial, commercial and operational targets in the region. He will work to further strengthen relationships with INTTRA's customers and partners and drive business development. Mr. Minocha will join INTTRA's Executive Committee and contribute to the company's global initiatives and growth strategy. Mr.
MSC has recently launched a new customer portal called ‘myMSC’ which allows you to submit your VGM instructions online and much more. The launch of this portal has been advanced in anticipation of the new SOLAS regulation which comes into effect on the 1st July 2016. 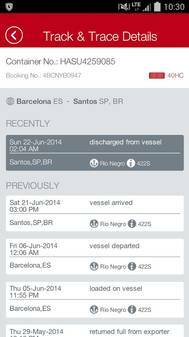 MSC will roll out additional functionality over the course of 2016. The portal will offer complete online management of your cargo including; rate requests, bookings, shipping instructions, manifest correctors, notice of arrivals, financial records, schedules, cut-off information, rates of exchange and VGM submission. Oslo based BW Fleet Management have chosen to sign a 3 year “BuyerLink” Service contract with EVRY, to use the MarineLink Service and run in parallel with their other eCommence providers who integrates directly with their Oracle EBS Purchasing application. BW Fleet Management has used the MarineLink service for many years for transactions with Wilhelmsen Ships Service, Alfa Laval and engine manufacturer Wärtsilä. However, this year they decided to split their eCommerce between two service providers, MarineLink from EVRY, being one of the winning suppliers. Frost & Sullivan today launched its latest research, Mega Trends Malaysia in collaboration with the Malaysian Investment Development Authority (MIDA). Mega Trends are defined as transformative, global forces that define the future world with their far reaching impact on business, societies, economies, cultures and personal lives. According to Hazmi Yusof, Malaysia Country Head and Senior Vice President of Frost & Sullivan, “We want to help our clients use Mega Trends as a framework to think about how to innovate and drive their business. Hamburg Süd has just released a free app for smartphones and tablets that is available for its customers to download. The Hamburg Süd app allows customers to access information about Track & Trace, timetables, offices and news wherever they may be. The new app was developed jointly by Hamburg Süd and the IT consultancy Capgemini. It is available for Android and iOS operating systems in both German and English, and can be downloaded to the operating device from the Google Play Store (Android) or from Apple iTunes (iOS). Andrea Metzger has been appointed Managing Director of Geodis Logistics Northern Europe, an entity grouping the logistics activities of Geodis in Belgium, Germany, Ireland and the Netherlands. Andrea Metzger is a graduate of European Business School. 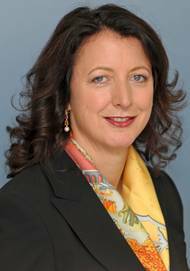 She began her career at Price Waterhouse then moved on to Dyckerhoff AG before joining Geodis in 1999, as Financial Director and then as Managing Director of Geodis Logistics in Germany. Her remit is to consolidate Geodis growth in the strategic region, home to the large ports of the North Sea. Bernhard Schulte Shipmanagement, a global leader in Shipmanagement, has in collaboration with WSS chosen MarineLink eCommerce for its SDCs globally. Bernhard Schulte Shipmanagement manages a fleet of more than 650 vessels out of which over 300 vessels are under full management. Last year EDB ErgoGroup purchased Wilhelmsen Ships Service's eCommerce solution, MTS, and has integrated it into its advanced eCommerce platform and has already added new functionality for invoice processing and logistics integration.